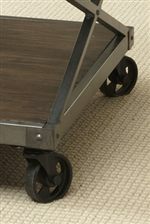 Perfectly accent your sofa and loveseat pairing with this scissor-lift framed end table. Metal and wood come together beneath the tempered glass top to make a truly intriguing living room side table. 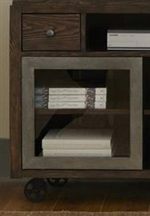 The base shelf offers room for stacks of magazines and newspapers or your favorite decorate vase. 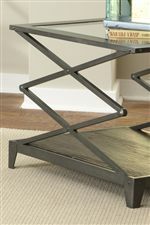 Complete your updated living room with an occasional table with an industrial design aesthetic. The Avignon Glass Top End Table with Scissor-Lift Frame by Liberty Furniture at Furniture Fair - North Carolina in the Jacksonville, Greenville, Goldsboro, New Bern, Rocky Mount, Wilmington NC area. Product availability may vary. Contact us for the most current availability on this product. Living room furniture should add to your home's character and match your personal style. 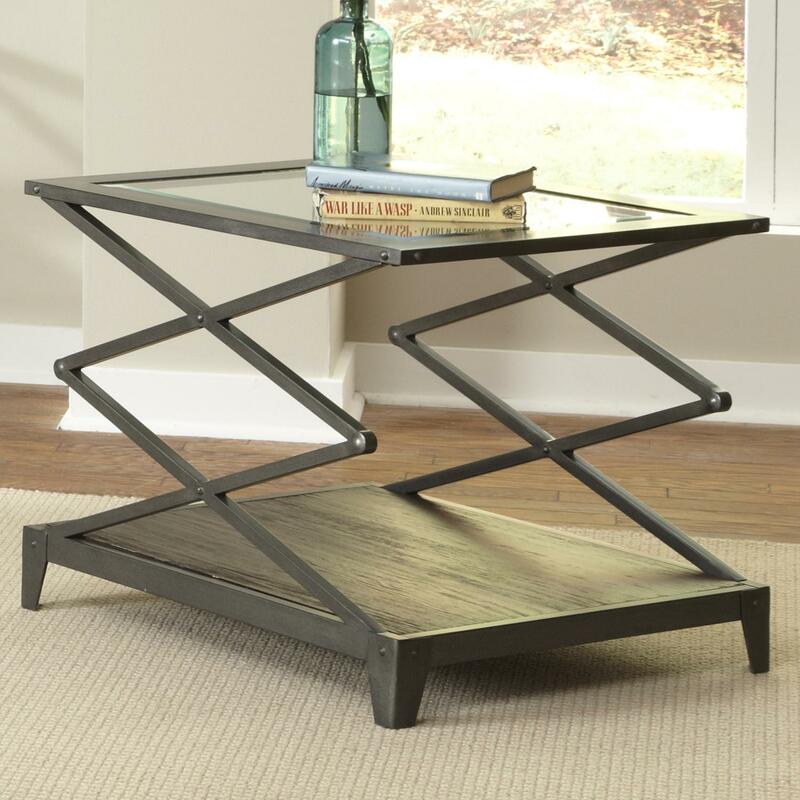 Introduce a modern industrial look to your living room with these metal, glass, and wood tables and entertainment pieces. Each table features a wooden base shelf, glass top, and scissor-lift metal frame. The castered cocktail table and tv stand makes for easy maneuvering to create the ideal use of your family room depending on the occasion. These multi-material pieces will put on a great show when you host family and friends. The Avignon collection is a great option if you are looking for Transitional furniture in the Jacksonville, Greenville, Goldsboro, New Bern, Rocky Mount, Wilmington NC area. Browse other items in the Avignon collection from Furniture Fair - North Carolina in the Jacksonville, Greenville, Goldsboro, New Bern, Rocky Mount, Wilmington NC area.